There are many opinions out there when it comes to the issue of ministering to children with special needs. This is not my area of expertise. However, it is an important issue that our children’s ministries must address. Like most things, I agree with the perspectives of some of these blogs more than others, and I trust the authors of certain blogs more than others. Bottom line, these sites all have something to offer. I have endeavored not to include my personal opinions in this list. Instead I have largely commented on the author(s) of each blog based on information available from their websites (sometimes simply copying their own information from their blogs). I will leave it to you, the reader, to draw your own conclusions and separate the wheat from the chaff. So, in no particular order, here are nine special needs blogs for your reading enjoyment. You’re welcome to leave your comments and even recommend other blogs we’ve missed. Amy Fenton Lee is a freelance writer specializing in addressing ministry issues for church leaders. Her articles have been featured in a variety of national, regional, secular, and Christian publications. As a passionate children’s ministry volunteer and the daughter of a church senior pastor, Amy understands the unique subculture of the church. Amy feels called to equip the corporate faith community to successfully include children with various neurological and physical differences. Amy has researched for her writing and speaking by interviewing hundreds of parents of children with special needs, church leaders, and secular professionals from the fields of education, medicine, and law. Some of her best insight has come from attending continuing education for professionals as well as visiting special education classrooms and autism camp. Amy is a popular workshop presenter for ministry conferences. In the interest of full disclosure, I should note that I am the founder and editor of Kidmin1124. Our site is not 100% dedicated to special needs. Our goal is to equip and encourage the community of kidmin volunteers and those who lead them. We have a team of great writers who consistently put out top-notched articles. One of those writers is Tonya Langdon who specializes in writing practical and informative article related to special needs. Katie Wetherbee completed her undergraduate work at Vanderbilt University, where she majored in Special Education and Human & Organizational Development. Katie began her teaching career in the Washington, DC area at a public school. Since then, she has taught in a variety of settings, including a community college, a psychiatric hospital day school and a learning center. Katie holds a master’s degree in education from Hood College, where she served on the adjunct faculty for the Reading Specialist program. Currently, Katie works as an educational consultant in private practice. Her firm, HOPE Educational Consulting, serves families in over 90 school districts and private schools in Ohio by providing solution-oriented advocacy. Her own experience as a mother to a child with special needs, along with her teaching background, gives Katie a unique perspective on advocacy. 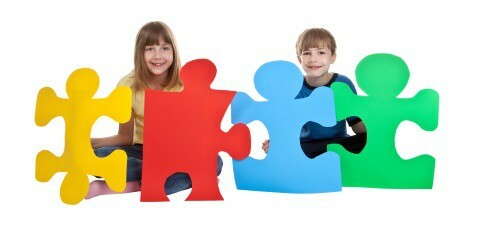 DifferentDream.com is a gathering place for parents of special needs children. Dads and moms in the hospital with seriously or terminally ill kids feel isolated. So do parents whose children live with mental disabilities or chronic illnesses. Why did God let this happen to our child? Where do we find strength to deal with this diagnosis? How do we navigate life in the hospital? How do we juggle life inside and outside the hospital? When we take our chronically ill child home, how will we cope? What will life be like if our child dies? If our child survives, how do we regain a normal life? This is the blog of Jolene Philo. The mission of ChosenFamilies.org is to provide resources, connections and encouragement to families with hidden disabilities and to educate and provide resources to religious leaders as they minister to families with these needs. ChosenFamilies.org will be a platform where people can exchange creative ideas to meet the challenges of living and prospering within a family with special needs. We will endeavor to inform, educate, inspire, motivate, and encourage families and churches in this vitally important mission. This blog brings together a number of authors to write for the site. Dr. Steve Grcevich is a physician specializing in child and adolescent psychiatry. He’s had opportunities to do research, teach, speak and travel extensively with my day job. He also serves as President of Key Ministry offering free training, consultation and resources to churches seeking to welcome, include and serve families of kids with “hidden disabilities,” ADHD, anxiety, autism spectrum disorders and bipolar disorder. He serves on the board of his local church and is interested in how the church can do a better job of partnering with families in helping kids grow spiritually. Elizabeth Givler explains, “Like many women, I wear many hats! I’m a wife, mom, teacher, speaker, writer, blogger, and I have started a home business. I facilitate disability awareness workshops for non-profit / faith based organizations, especially in the area of autism. I research and write about things that make it “easier” to live life to the fullest– whether it is about products that make my life easier, resources for daily living, or community organizations that offer needed services. I blog about what lightens my load as an autism mom. I equip people who are “crazy busy” and health conscious to have quick, easy, and healthy meals that everyone will love through my Wildtree business. I provide a means to connect with other like-minded people through the Wildtree home parties. I teach clarinet lessons to those who want to learn, including students who have autism, so that they may have a creative outlet and find a place to belong. I have three kids, two of whom are on the autism spectrum. Everyday is about learning, teaching and growing. There is never a dull moment! After posting this article, I received a couple of suggestions for an addition to the list. Since they were all for the same blog, I’ve gone ahead and added it here. Consider this one a “bonus blog” for free. I know I’m glad to have found it! The All Access blog is run by Jackie Mills-Fernald. I’ve heard nothing but good things about it. Access Ministry is the “disability ministry” of McLean Bible Church. While the word “disability” is used, we prefer to think of Access as a ministry of “possibilities” not defined by what can’t be done but rather by what all individuals regardless of ability level can achieve in God’s house. We believe in Access to God for all His people and celebrate our uniqueness and differences. It is our hope to develop all people into fully-devoted followers of Christ, integrated into the church. Access Ministry has a holistic approach to care for individuals with disabilities and their families by providing spiritual, physical, and emotional care. We accomplish this through an incredibly passionate staff and core group of volunteers with servant hearts. Tony Kummer (Editor) reviewed & updated this page on : February 12, 2019 at 8:33 am. All our content is peer reviewed by our readers, simply leave a comment on any post suggest an update.